This week I’ve made a start on the cart. Likely it will turn out to look nothing like the SketchUp drawing I made last week. 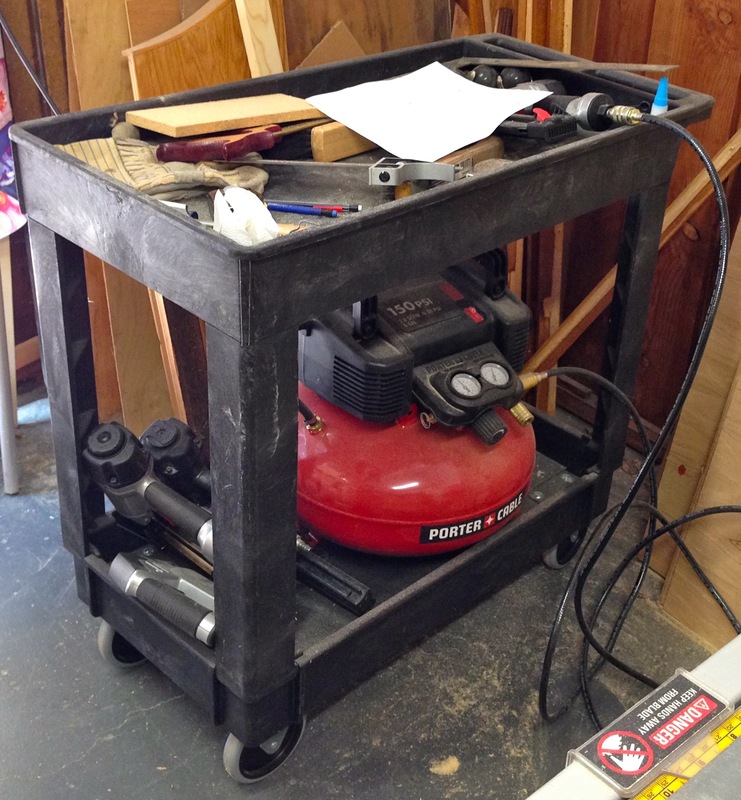 The idea is to make a shop cart to hold my air compressor and nail guns plus serve as an extra assembly table or out feed table for my table saw. 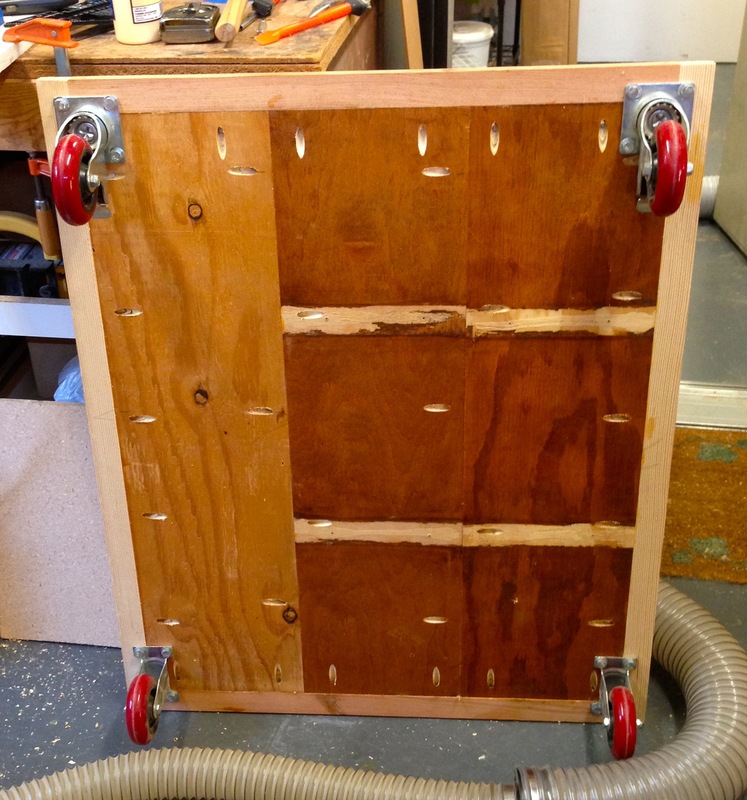 Plywood from an old bookcase. It’s going to be an ugly thing when it’s done, but I’ll be able to excuse any defect on the fact I built it out of recycled materials. You can do a lot of bad work as long as it’s recycled. 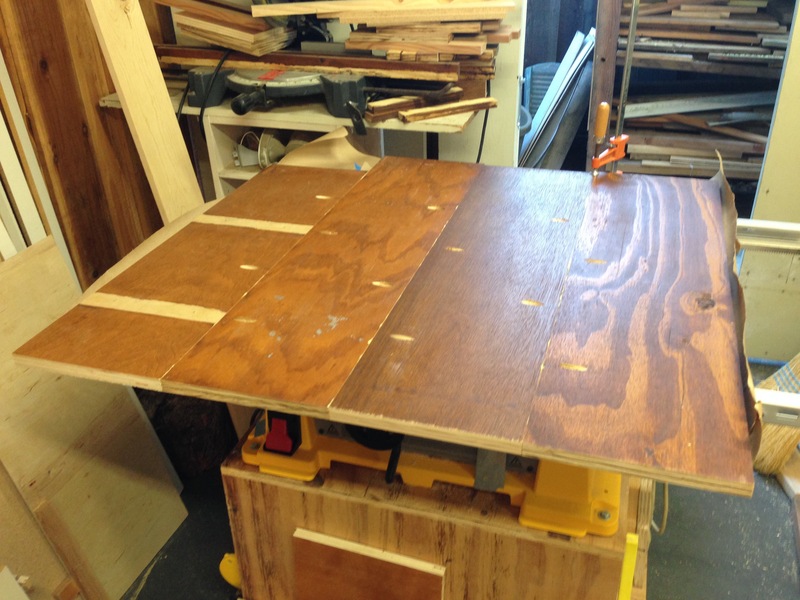 This entry was posted in woodworking and tagged shop cart, woodworking. Bookmark the permalink. You are so funny. I love your last line. Thanks, I spent minutes on that last line. Hi Andrew. As long as it’s what you want and it works who cares how pretty it is. Thank you for liking my poem Stabbing A Stranger! Peace and Best Wishes. The Foureyed Poet. It will be a source of great pride, I say thinking of our chicken coop made of recycled doors from renovating our house. As clever as you are, and based on what I have seen from you, I bet it won’t be bad looking at all. Would you paint it? Either way, it will be an upcycled work of art. Don’t think I am going to paint it. If I end up with extra paint from another project I might. I expect that this cart is going to get a lot of bumps and scratches so I am not that motivated to make it look good. Well that makes good sense. Well aren’t you clever. Well done, friend. I like that you used SketchUp. Have you tried any other digital design tools? I’ve used a number of CAD and digital design tools professionally for mechanical and electronic engineering (I use to work for PC hardware manufactures before I went to the dark side of software engineering), Autocad is the one most people would know. I like SketchUp because it’s easy to learn, does 3D simply and the free version is good enough for most people’s usage. There’s a lot more I could do with the free version of SketchUp – I just don’t take the time to. It’s utilitarian. It isn’t supposed to be pretty, but if it is…that’s a bonus. There is a theory that shops should be built from ugly materials, otherwise it would look too pretty to use. You don’t worry about scratching an already scratched bench. Looks like you are well on the way! And recycled wood is a great idea. I hope to have the main part done this weekend. necessity is the mother of invention! 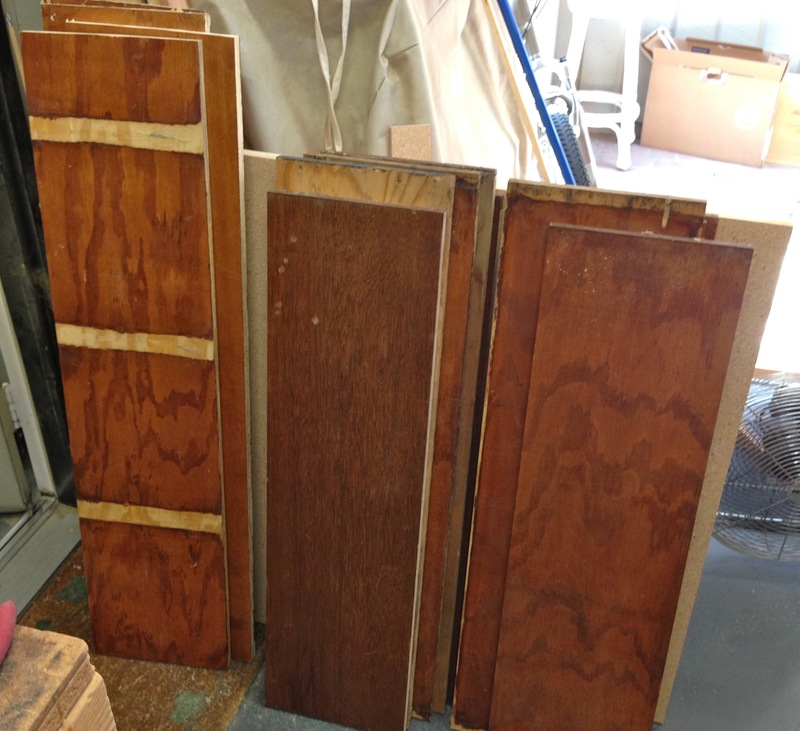 If you can make it to suit your needs using recycled wood, all the better! It just pains me to throw out usable materials.